STANCOAT state-of-the-art thermo hardened finish for long-lasting protection is virtually maintenance-free and enhances the look of your entrance door. Stanley textured coating is your assurance of quality and superior performance whatever climatic conditions exist. 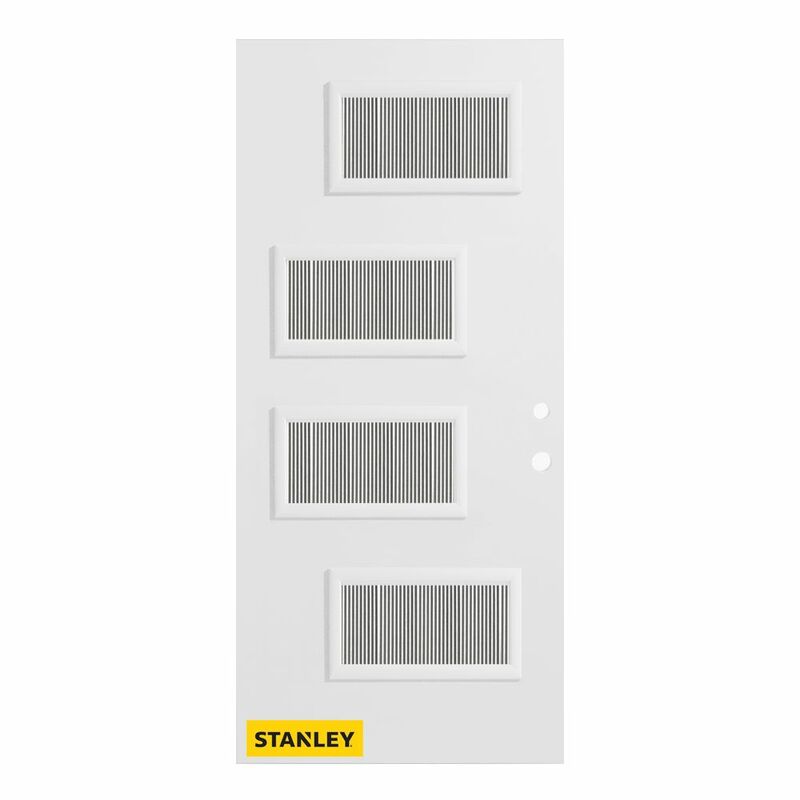 33.375 inch x 82.375 inch Beatrice 4-Lite Flutelite Prefinished White Left-Hand Inswing Steel Prehung Front Door - ENERGY STAR® Stanley's Retro Collection of steel doors is definitely style-driven. These doors' retro style is both classic and current, while their performance is at a level that only a Stanley Door could provide. Their enhanced door lite frame adds an Art Deco appeal and further lends to their retro feel. This glass Flutelite pattern is right on trend. Its embossed lined pattern is bold and will ensure that your door is the central feature of your home. Actual colours and appearance may vary slightly from image due to lighting.